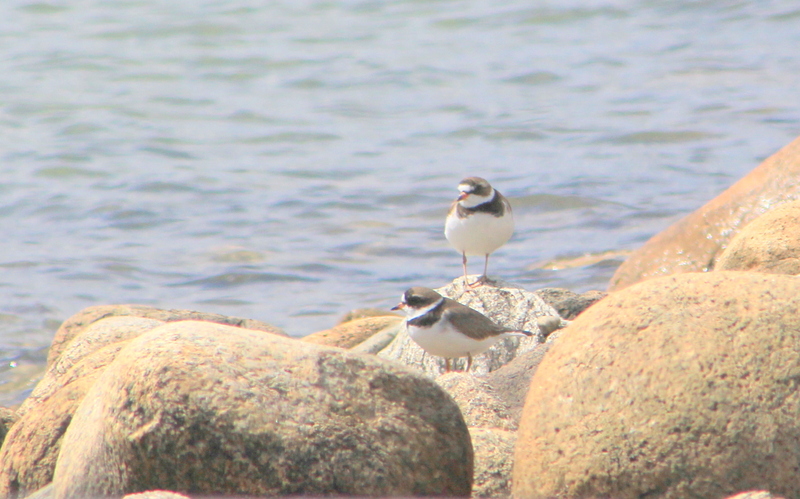 After an introduction to shorebird ecology, the group travels out to the harbor side of Long Beach to view shorebirds and learn how to identify them. We see a wide variety of birds all within a half-mile of shoreline and some of them do seem rather rotund. Brian tells us that this is a good sign as the birds will have enough fat on their bodies to fuel the next legs of their journeys to their breeding grounds in the Arctic. We are fortunate to be accompanied by photographer Meghan Copson, whose photographs illustrate this post. “But,” questions Beach Ambassador Mary Lee, “what happens if they don’t have enough fat to go the entire way? Do they just stop wherever they are and nest there?” The answer, unfortunately, is no. 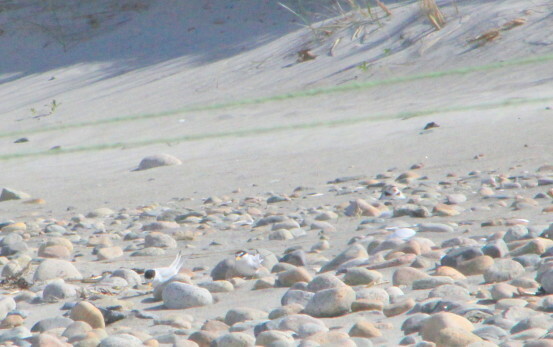 Shorebirds will exhaust themselves and simply perish if they cannot make it to their nesting sites. They’ve evolved to travel thousands of miles from specific wintering grounds to specific breeding grounds stopping at critical points (like Plymouth) along the way. (Their incredible migrations are illustrated here). The breeding grounds provide important components such as nesting habitat, ample food for chicks, and potential mates that can’t be found in just any spot where they might stop. 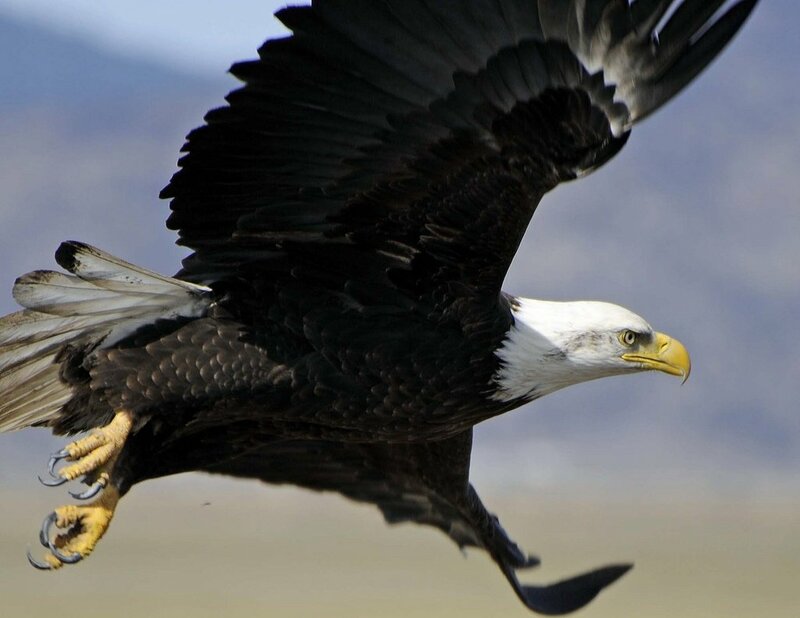 So, we watch the birds from a respectful distance, aware that if we disturb them and they fly they will use up critical fat reserves to lift their heavier-than-usual bodies into the air and travel to another spot. 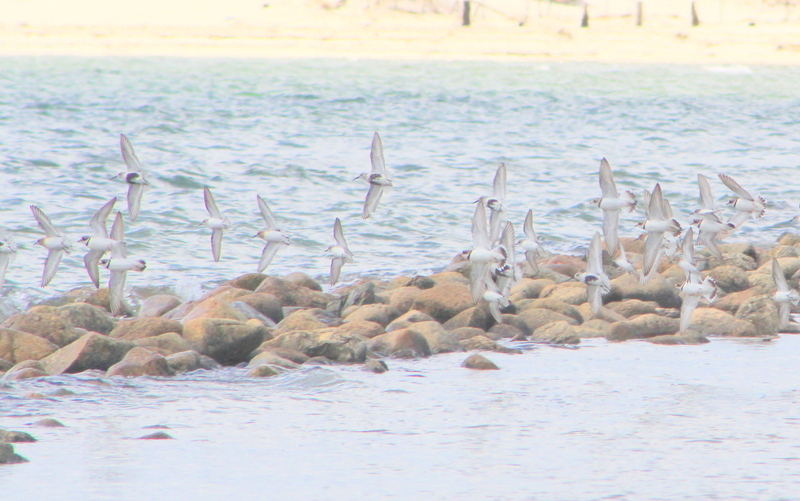 Of course, Long Beach and the surrounding area boasts of more than migrating shorebirds. There are, combined, hundreds of nesting gulls, terns and shorebirds, such as Least and Common Terns, Laughing and Herring Gulls, Willets and Piping Plovers. 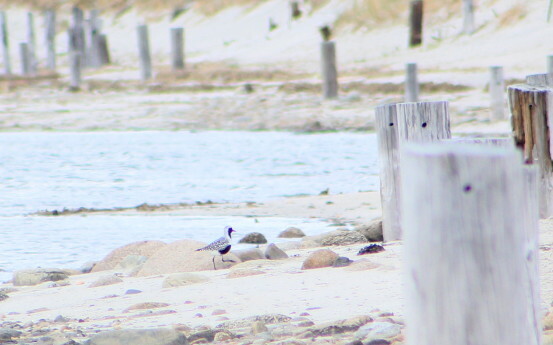 We cross over to the Cape Cod Sound side of the beach, where the high wave energy keeps the beaches sandy rather than muddy, to view several of the nesting species, which are behind symbolic fencing – twine supported by poles delineating nesting areas. We search carefully in the protected areas and see several nesting Least Terns and a male Piping Plover on a nest – a sweet way to end the field trip. You, too, can go birding and view some of Plymouth’s natural heritage with Goldenrod Foundation and the Beach Ambassadors on Long Beach. Check our calendar of events for upcoming trips and other events.